Switzerland has around 4.4 million homes. In 2000, 52,608 (1.49%) of them were vacant. By 2003, this number had dropped to 33,039, a vacancy rate of 0.91%. After fluctuating between this level and 1.07%, the rate started to climb in 2014 to its current rate of 1.30%, its highest level in 15 years. Before home hunters get too excited, it is important to look at regional differences. 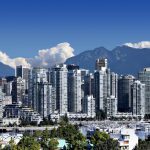 In some regions the market for accommodation remains tight. In some places it has become even tighter. The four cantons with the lowest vacancy rates on 1 June 2016, were Zug (0.34%), Basel-City (0.42%), Geneva (0.45%) and Basel-Landschaft (0.47%). If you are hoping to buy something in Zug, there were only 48 homes for sale. In Basel-City there were only 18, and in Basel-Landschaft only 28. The situation was only slightly better in Geneva where there were 188 places on the market. Renters in these cantons fared better. Geneva (846), Basel-City (434), Basel-Landschaft (617) and Zug (148) all had more rental accommodation available than they had properties for sale. In two of these four cantons accommodation availability has dropped over the last 10 years. 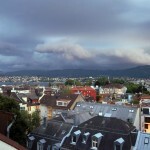 In 2006, there were a combined 1,471 places on the market for sale or rent in Basel-City. This number had fallen to 452 by 1 June 2016. In Basel-Landschaft, over the same period, the number went from 739 to 645. Geneva (from 329 to 1,034) and Zug (from 188 to 196) improved over the same period. On 1 June 2016, the cantons of Zurich (0.85%), Vaud (0.81%) and Obwalden (0.61%) also had relatively low vacancy rates. In addition, some communes within these cantons had vacancy rates lower than those of the cantons mentioned above. In Vaud, vacancy rates were low in the communes of Lausanne (0.29%), Morges (0.41%), Nyon (0.50%) and Vevey (0.56%). In Zurich, rates were low in Illnau-Effretikon (0.00%), Zurich (0.22%), Schlieren (0.27%), Greifensee (0.26%), Thalwil (0.41%), Richterswil (0.49%) and Bubikon (0.52%). In addition to being the last Swiss canton to grant women the right to vote in 1991, Switzerland’s least populated canton (population: 15,974), Appenzell Innerroden, had the highest rate of accommodation vacancy in 2016 of 3.63%. Other cantons with relatively high vacancy rates were Solothurn (2.62%), Aargau (2.18%), and Jura (2.09%). 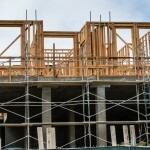 All of these cantons have seen rates rise significantly since 2006. In Appenzell Innerroden the rate rose by over 213% from 1.16%. Solothurn’s and Aargau’s rates were up 32% and 45% respectively from 1.98% and 1.50%. 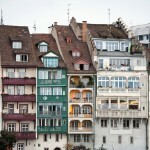 Across Switzerland, there was a noticeable rise in the number of new homes vacant. On 1 June 2016 there were 8,768 new places empty. This number has risen by 1,063, or 14%, since 2015. It is the first time since the mid 1990s that this number has been so high. The cantons with the biggest year-on-year increase in new home vacancies were Fribourg (+195), Vaud (+180), Bern (+149) and Graubunden (+131). Interesting article. What is the vacancy rate for Kanton Luzern? The city? The vacancy rate for the Kanton of Luzern at 1 Jun 2016 was 1.05%. For the gemeinde of Luzern it was 0.96%. Thanks for the info. How many homes was that vacant for sale in the gemeinde? Very interesting article. 437 vacant lodgings. There is no split between those for sale and those for rent at this level.